If you’ve attended a material handling show lately, such as Modex, you’ll already have been presented with a future where robots replace people in the warehouse. It can seem very futuristic, over-ambitious and, frankly, prohibitively expensive. But several factors are driving warehouse automation at an accelerating rate. First off, e-commerce, long advertised as having the potential to change the face of retail, really is having a major impact on the supply chain now. That means sending orders direct from the DC to the customer, fulfilling orders to local stores for pick-up, making SKU-level transfers between stores or DCs, and any number of other distribution options that simply weren’t on the table 20 years ago. Distribution centers are morphing into fulfillment warehouses like never before. That, in turn, means a much wider range of shipment sizes and order complexity. Because humans tend to make more errors than machines, and complex shipments present more opportunities to make errors, automated picking – with its low error rates – becomes increasingly attractive. Further, 3PL warehousing space is getting more precious. 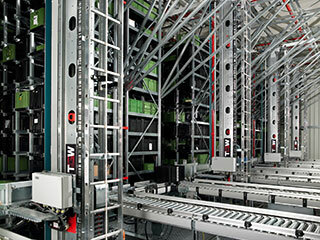 Stacking product high and more densely is desirable, and makes for a warehouse better suited for robots than humans. People don’t do well at heights, and need more room than machines between aisles and in front of bins. More customized packaging, and last-minute changes to packaging presents another factor driving warehouse automation. Without automation, mass customization of final packaging can be prohibitively expensive due to labor costs. That’s why auto bagging, box construction and other packaging functions are increasingly handled by machines. Another factor is a shortage of suitable labor. The traditional labor force for warehouse work, a tough job, is being lured away by other industries where they can earn the same money for less physical work. The costs associated with warehouse labor have increased markedly in the last five years. The latest news concerning this area gives a pretty clear indicator of the growing trend toward automation. Honeywell announced July 1 that it would buy Intelligrated, which provides warehouse automation systems, for $1.5 billion. In June, Germany’s Kion Group announced it would buy warehouse robotic supplier Dematic for about $2.1 billion. The decision to automate a fulfillment warehouse requires significant capital, so the numbers need to add up. For some companies, full-on automation won’t make economic sense. But the relentless rise in online sales is certainly pointing us toward a future where managing machines in the warehouse will be as important as managing people.